This quote, from 902 Man Up organizer Marcus James, captures the frustration felt by many in the room Monday evening. We’ve been here before, many times. On Monday night, Black community members packed into a room at the Cornwallis Street Baptist Church to discuss street checks and racial profiling with researchers from the Nova Scotia Human Rights Commission. The community meeting was one of a series of three “Starting the Conversation” sessions conducted this week that will be analyzed for a larger report by the commission on the use of street checks—the police practice of monitoring or stopping citizens—and its long-standing ties to racial profiling in this province. 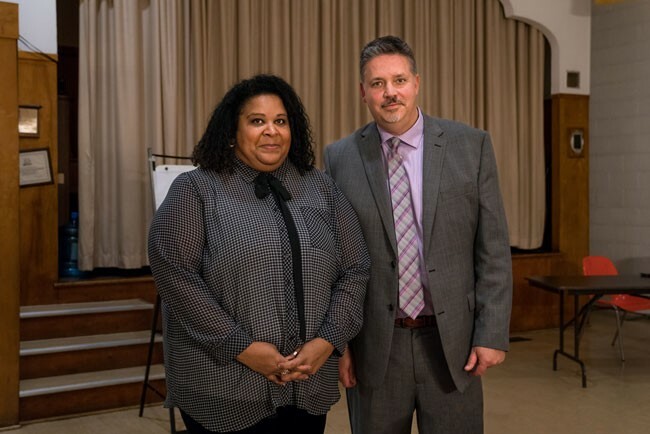 Kymberly Franklin, senior legal counsel for the HRC, and Scot Wortley, head of the University of Toronto’s Centre for Criminology and Sociolegal Studies, facilitated the meeting to hear the community’s stories and concerns regarding interactions with police. Tensions ran high. Person after person stood to air their grievances—about police behaviour, yes, but also about the ineffectiveness of these kinds of community conversations in sparking tangible change. James’ son, Trayvone Clayton, spoke about being pinned to the ground and arrested for jaywalking near Point Pleasant Park. Other speakers echoed similar humiliating, dehumanizing experiences like being forced to exit and put their hands on their car during daily commutes, in front of rush-hour traffic. Recordings of the meeting were prohibited to provide a safe space. Those named in this article granted their permission to The Coast to publish what they said Monday night. Overwhelmingly, those who shared their stories were united by a distrust in the ability of law enforcement to protect and serve their communities, and a distrust of processes like the Human Rights Commission’s report to represent their lived experiences in a way that can bring about progress. Countless stories of aggressive interactions between Halifax police and local Black communities have been shared in years past. 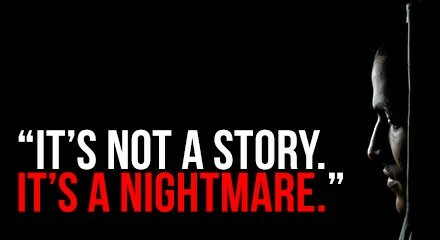 Those encounters aren’t urban myths that are whispered about but never put to public scrutiny. It’s verified fact, documented again and again. 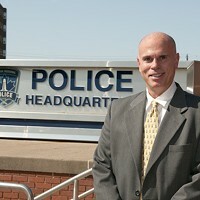 The street check data published last January by CBC, which found Black residents of HRM were three times more likely to be street checked by police than white Haligonians, was assembled over the last decade because of the racial discrimination case Kirk Johnson brought against the police department in 2003. So this isn’t a new question, but it keeps getting asked. Black and other racialized peoples are habitually asked to prove their lived experience of racism to white institutions and populations. Time and again, the response they’re met with is aggressive, indifferent or ineffectual to actually produce change. The question remains: Why is it so difficult to believe us? Why haven’t our voices been enough? The problem can be largely chalked up to Halifax’s latest racial tension buzz phrase: white fragility. It’s a topic that’s been bearing down heavily on the city over the last few weeks. Dalhousie Student Union executive Masuma Khan called it out in a Facebook post this summer, leading to countless cries of racism from the white people she offended. Lido Pimienta said she had no time for it after online trolls harassed her for prioritizing women of colour at her Halifax Pop Explosion show. One doesn’t have to look far to find examples. At Lido Pimienta’s October 19 Pop Explosion show, a white volunteer photographer loudly and aggressively refused to leave her spot at the front of the stage after Pimienta asked all the brown girls to come to the front of the room. Pimienta often asks her crowds to arrange themselves with men in the back, women in the front and women of colour in front of white women in an attempt to create as safe a space as possible. 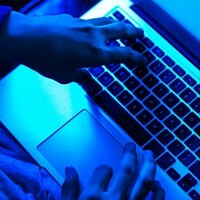 The resulting news coverage inspired a barrage of hateful and offensive online harassment from people who saw Pimienta’s prioritization of women of colour as somehow anti-white. Earlier last month, a war on free speech was waged over Masuma Khan’s choice to challenge white fragility at Dalhousie while showing solidarity with Indigenous students. For ending a Facebook post with the hashtag “whitefragilitycankissmyass,” she was charged with a violation of the code of student conduct, inciting a national conversation about political speech and inspiring a flood of violent messages from those offended by her words. While many students and educators came to Khan’s defence, some—like fellow Dalhousie student Mehak Saini—took direct action against her. Saini wrote a letter to the DSU calling for Khan’s impeachment and condemning her words, saying that “by implying that all white people are fragile in nature” Khan was trying to “mock people that are white.” Khan’s words capture why it can be so difficult create any change on racial injustice. It’s the heart of the skeptic dissenter’s cries: Isn’t it racist to talk about all white people like that? 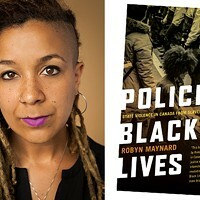 These aggressive responses to the politics and lived experiences of people of colour make sense within the context of Canadian race relations, according to Wright. The result is that stories like the ones shared at Monday’s community meeting are met with what Wright calls an “intentional ignorance” that allows white people to remain unconcerned with racial injustices. The problem of street-checking in Halifax isn’t new. This week’s community meetings are part of an historic struggle between African Nova Scotians and the police in their communities. 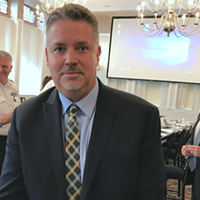 After boxer Kirk Johnson won his human rights case against the police department for discrimination during a street check five years prior, Halifax Regional Police was ordered to begin recording data by ethnicity. The department began that collection in 2005, but the data went unanalyzed until it was requested under Freedom of Information legislation by CBC last October. 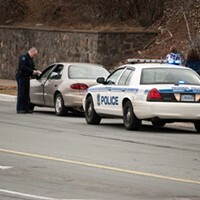 The resulting news investigation found that Black Nova Scotians were 3.1 times more likely to be street checked than white people. According to the Globe and Mail, a January report from Halifax-district RCMP found a similar pattern. In the first 10 months of 2016, 41 percent of the RCMP’s 1,246 street checks involved African Nova Scotians, despite the fact that they make up only 3.6 percent of the municipality’s population. In response to these findings, Sylvia Parris—the Board of Police Commissioners’ sole Black member at the time—called for a moratorium on the practice of street checking. Her idea was rejected by chief Jean-Michel Blais, who said more research was needed before any action would be taken. Wright, along with social worker Lanna MacLean and lawyer Shawna Hoyte, ended up writing a letter to the police watchdog Serious Incident Response Team and the Human Rights Commission asking that the practice cease, or at least pause while research was being conducted. 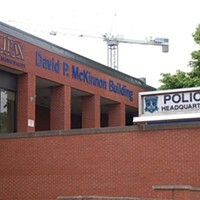 Halifax police have always defended the practice as a necessary information gathering tool for preventing and solving crime, but over the last several months both the police department and the board of commissioners have looked into addressing the issue through policy changes and a continued “dialogue” with the African Nova Scotian community. Ah, there’s that pesky intentional ignorance again. At the same time, the Nova Scotia Human Rights Commission has secured Wortley for an independent analysis of the data, which will include historic, national and international literature and stories from community members shared at the public meetings or submitted through online forums. Human Rights Commission senior legal counsel Kymberly Franklin and University of Toronto sociologist Scot Wortley. Wortley, who has been instrumental in documenting racial profiling conducted by police departments in Toronto and Hamilton, says the analysis is scheduled to be compiled by the end of the year. He’s cautiously optimistic that the finished report will be objective but comprehensive. Whether that will be enough information for white communities and institutions to recognize the suffering experienced by Black people is another question. The members of Nova Scotia’s Black community have heard a lot of these vague promises before. White individuals treat racialized people with hatred, with violence, and the authorities solemnly vow to study the issue or start a dialogue. The intentional ignorance of Black voices and stories has gone on long enough, attendees of Monday’s meeting stressed. Be honest about what’s happening. It’s racism. “Unless you’re ready to call it what it really is, which is ugly, we’re not going to move forward,” said James. 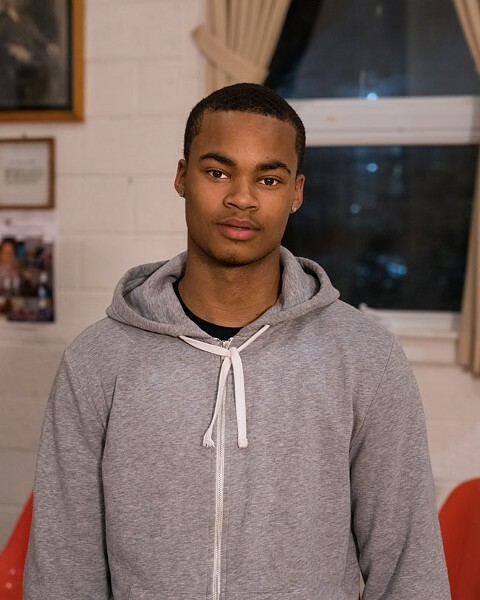 Sometime soon the stories of trauma from Nova Scotia’s Black community might be, on their own, enough to inspire action and accountability amongst law enforcement. Whether that time is now remains unclear. Enough questions have been asked. It’s time for some answers. Julia-Simone Rutgers is a journalism student at the University of King’s College and an outspoken advocate for racial justice. Her hobbies include writing Twitter threads, breaking rules and trying to gain the affection of her roommate’s cat. You can find her on Twitter @jsrutgers.